As I’ve been saying, the Intelligence Committees are the sensible place for any investigation into the Russian hack, but the current investigation is hampered because both Chairs — Devin Nunes in the House and Richard Burr in the Senate — have conflicts that prevent them from being independent. The WaPo has an absolutely masterful article exposing their conflicts. Better still, it shows that Benghazi truther Mike Pompeo has already abused his position as CIA Director in the pursuit of politics. The part that has gotten the most notice is WaPo’s report that — after Reince Priebus failed to get FBI to issue a rebuttal to this NYT article — which claims “Phone records and intercepted calls show that members of Donald J. Trump’s 2016 presidential campaign and other Trump associates had repeated contacts with senior Russian intelligence officials in the year before the election” — he then arranged calls with the press and Nunes and Burr, so they could rebut the claims. As the WaPo reports, the calls were not persuasive enough to get WaPo to report on them. The officials broadly dismissed Trump associates’ contacts with Russia as infrequent and inconsequential. But the officials would not answer substantive questions about the issue, and their comments were not published by The Post and do not appear to have been reported elsewhere. Nunes’ comments actually were picked up by WSJ (which has discouraged reporters from doing hard reporting on this issue). Burr’s were not. Here’s how Burr — who normally leaks far less than other Gang of Four members, and who was a national security advisor for Trump during the campaign — defended his comments. Burr acknowledged that he “had conversations about” Russia-related news reports with the White House and engaged with news organizations to dispute articles by the New York Times and CNN that alleged “repeated” or “constant” contact between Trump campaign members and Russian intelligence operatives. More delectably, the WaPo obliquely reveals that an intelligence official was involved in the calls, and then makes it very clear that Pompeo was the guy. As WaPo points out, this not only makes Pompeo a raging hypocrite, given the way he politicized Benghazi, but it also suggests Pompeo inquired into the FBI’s counterintelligence investigation for the purpose of leaking details of it to the press. CIA Director Mike Pompeo is the senior-most intelligence official in the administration, with former senator Dan Coats (R-Ind.) still awaiting confirmation as director of national intelligence. As a Republican member of Congress, Pompeo was among the most fiercely partisan figures in the House investigation of Benghazi, which centered on accusations that the Obama administration had twisted intelligence about the attacks for political purposes. It is not unusual for CIA leaders to have contact with news organizations, particularly about global issues such as terrorism or to contest news accounts of CIA operations. But involving the agency on alleged Trump campaign ties to Russia could be problematic. The CIA is not in charge of the investigation. Given the history of domestic espionage abuses in the United States, CIA officials are typically averse to being drawn into matters that involve U.S. citizens or might make the agency vulnerable to charges that it is politicizing intelligence. This is actually fairly breathtaking. It’s one thing to inquire into a past event, because the inquiry can’t change it. But this is an ongoing counterintelligence investigation! Russians are dying left and right, and at least one of them looks like he was a likely source for the Trump dossier. Two Russians have already been charged with treason and a Ukranian may well be as well. There are reasons you keep counterintelligence investigations secret. But the CIA Director is more interested in helping Trump out politically. It turns out that Senate Intelligence Vice Chair Mark Warner, who thus far has defended Burr’s role in this investigation, is not all that happy about this. Here’s what he had to say in response to WaPo’s disclosures. Mark Warner, the ranking Democrat on the Senate Intelligence Committee, said he called CIA Director Mike Pompeo and Burr to express his “grave concerns about what this means for the independence” of the investigation. “I am consulting with members of the Intelligence Committee to determine an appropriate course of action so we can ensure that the American people get the thorough, impartial investigation that they deserve, free from White House interference,” Warner said in a statement Friday night. So here’s my suggestion: tell Mitch McConnell and Richard Burr that Susan Collins should serve as acting Chair for this investigation, and if they don’t agree the Democrats will demand an independent inquiry. Collins is a perfect choice even beyond her comments from the other day, which among other things entertained the possibility of subpoenaing Trump’s tax returns. 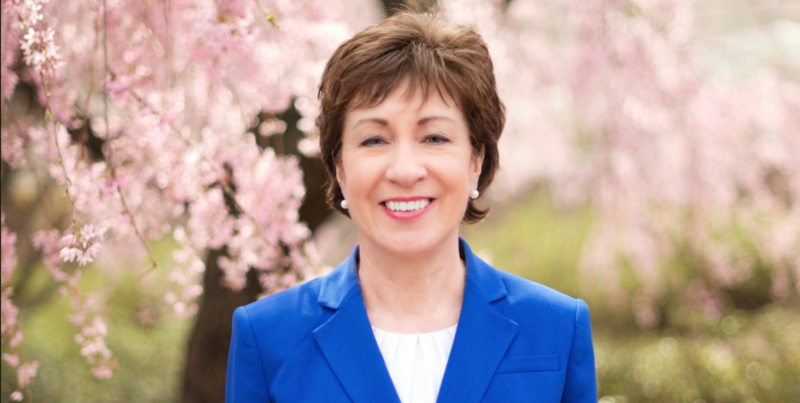 She has voted against Trump more than any other Senator (which is not much, but still). As Chair of Homeland Security, she conducted a number of credible investigations, working closely with Joe Lieberman. So she surely could credibly lead this report. To be clear: I’m suggesting this as a negotiating strategy. This hasn’t been done before and I suspect it wouldn’t be done here. But it is clear that Collins is independent and qualified to lead this investigation. The alternatives all involve more potential exposure for Trump. Democrats should propose this — so McConnell and Burr can shoot it down, making it clear that Republicans want people who’ve already compromised their independence to lead this investigation. Update: Here’s Collins’ comment on the new disclosures. The Senate Intelligence Committee has the expertise, the cleared staff, and the bipartisan determination to follow the evidence wherever it leads in this investigation into malicious Russian activities. For the public to have confidence in our findings, it is important that the Committee work in a completely bipartisan fashion and that we avoid any actions that might be perceived as compromising the integrity of our work. It is also important that the Committee ultimately issue a public report on our findings. Actually I think they would prefer no investigation at all. But if they have to hold one, they want no one who is sensible or ethical to conduct it. They might find – and tell – about it. Working with Joe Lieberman gives her credibility! And Russians are dying right and left- are you putting down the Russian Ambassador’s death to Putin too? TomVet is right: they don’t want an investigation. A whitewash maybe, trotting out all the ‘evidence’ to which we’ve been treated so far and maintaining a tactful silence over the content of the leaked emails. Another series of baseless charges and unsubstantiated allegations of the sort that would have made McCarthy blush. This just gets more and more ludicrous. And with Perez heading the DNC expect much, much more, because it may be nothing but it is all that they have got-except for corporate donations to pay their fat salaries. I am absolutely not suggesting Churkin was murdered. I do think it quite possible that Oleg Erovinkin was. For the rest, I await evidence one way or another. when his anti-oversight (and pro-torture) opinions were already well known.